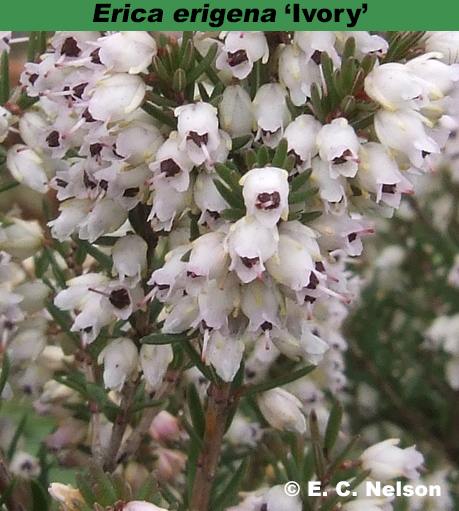 Flowers: small, to 4mm long, white at the base shading to pale pink at the lobes, with green-tipped sepals. End of style tinged red; II–III; foliage dark green; habit broad compact; height 50cm; spread 50cm. Habit: Compact, broad shrub to 50cm tall, spread to 50cm. The Flower: Small, to 4mm long, white at the base shading to pale pink at the lobes, with green-tipped sepals. End of style tinged red.